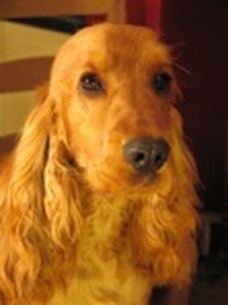 Cocker Spaniels are a fantastic breed of dog, loving temperaments and medium sized which makes them an idea family pet. Have a look through the pages above to get further insight into the world of cocker spaniels. If you want further information we point you to other sites which can help quench your thirst for knowledge, alternatively you can always e-mail us and we will be happy to help. If you want to see cocker spaniels in the flesh one, of the best ways is to go to a dog show. Crufts run by the Kennel Club is the best known and biggest show and is held at the NEC in Birmingham in March every year see The Kennel Club Of Great Britain. They have a part of the show called discover dogs which houses a section for virtually every type of breed with a breeder and actual dogs. There are lots of other shows during the year so look on the internet for one near you. Go and have a look at the dogs and talk to the owners. Hope you enjoy our site and our dogs.